The resorts three piers are as famous as seaside rock! 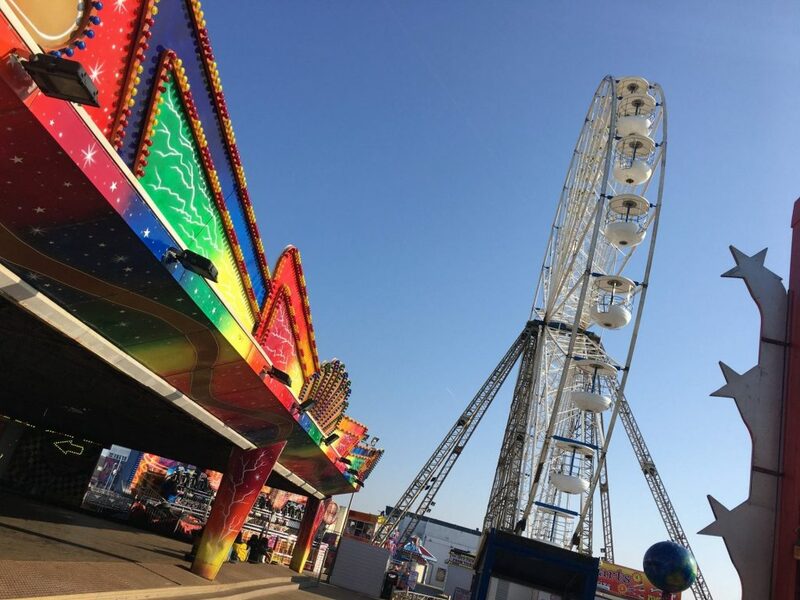 Come and take a look at Blackpool Central Pier – there’s fun and amusement for all of the family! Believe it or not, these photos were taken early one morning in very unseasonably hot weather at the end of February. 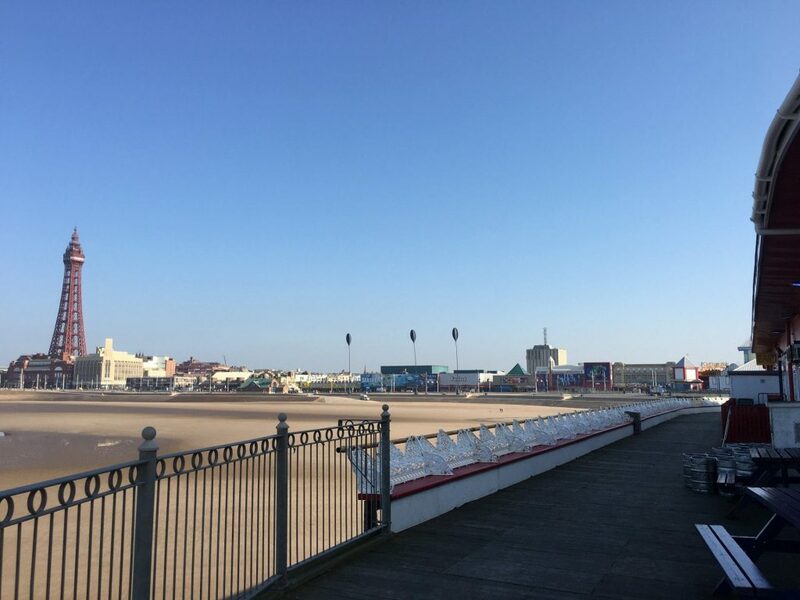 It just goes to show that Blackpool is open all year round – don’t look at the calendar just come along and enjoy it! This is the pier with the landmark big wheel, so you can see it from pretty much all of the Blackpool coastline! It’s also home to the no 1 tribute show – Kings & Queens. There’s a world of amusements in the arcade building at the entrance and the traditional world of fairground rides and the seaside pier beyond. Try your hand at one of the side stalls – you might be lucky or really skilled and win something on one of the stalls. The view from the top of the big wheel is just amazing – from up there you can see everything! 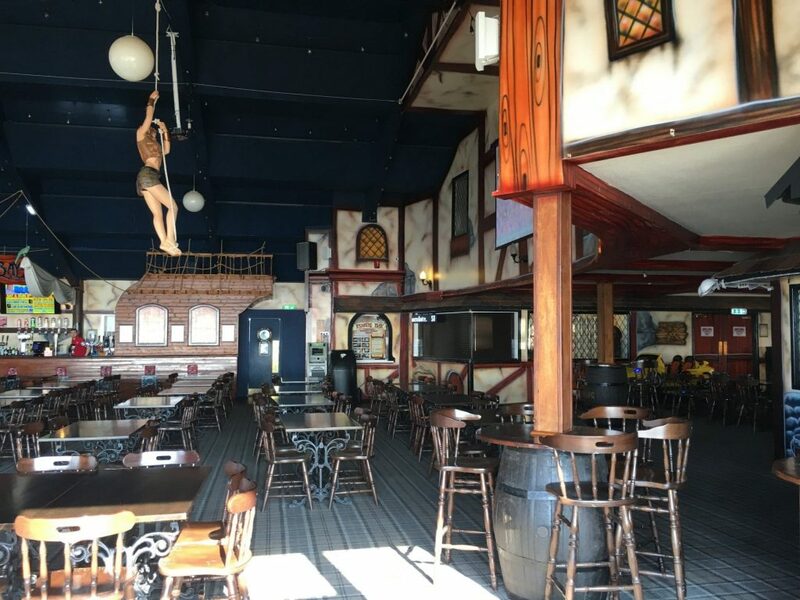 Head right to the end of Blackpool Central Pier and you’ll find the Pirates Bay family bar. 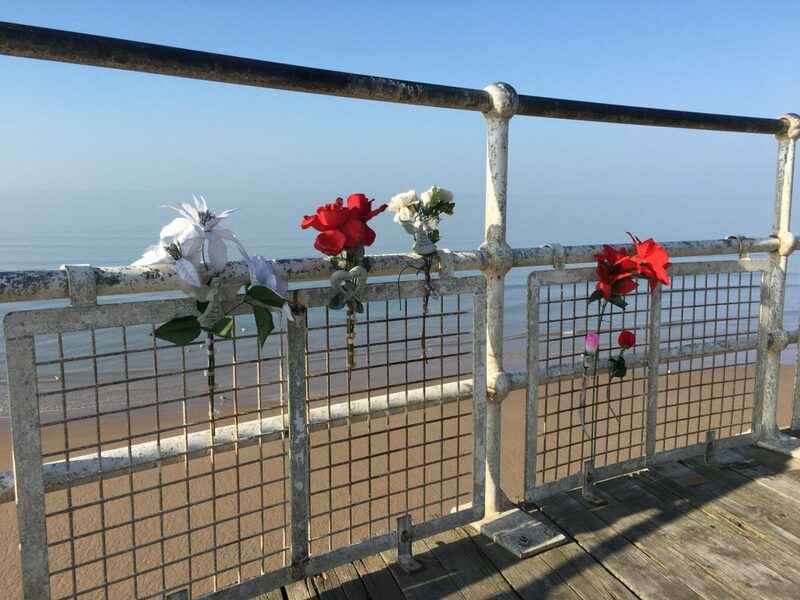 And while you’re on Central Pier, don’t forget to enjoy the views! There’s two huge arcades on Blackpool Central Pier. The main arcade at the entrance to Central Pier is open daily from 10am all year round. The Pirates Bay arcade is half way along the pier under the big wheel. Try your hand with the penny waterfalls and see if you can catch a toy in the grab machine. There’s other family favourites such as air hockey, pinball and pool. Plus all your favourite slot machines and arcade games. 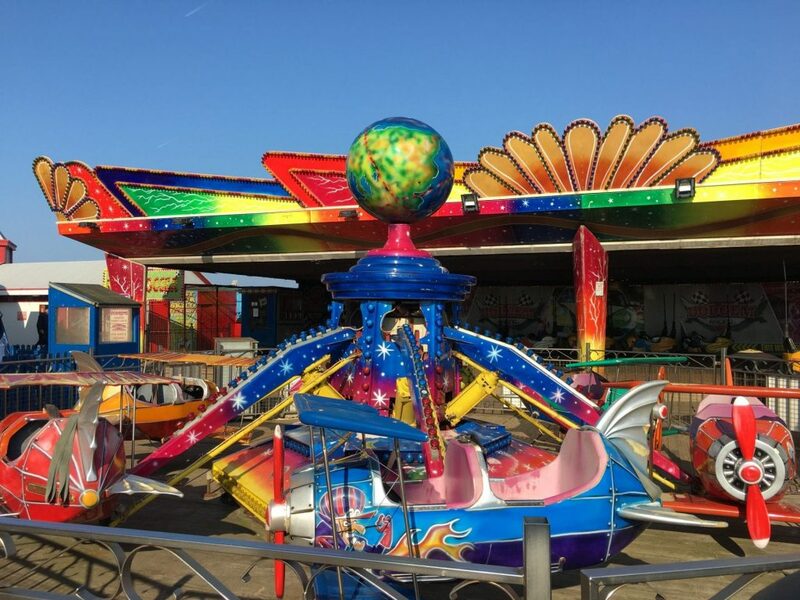 All the family can enjoy fairground rides on Central Pier! They’re open daily throughout the season. The rides don’t accept cash – buy your tickets in advance at the ticket booth. Ride pricing can be found at this link. Just check the height restrictions for each ride first. Remember – adults aren’t allowed on the children’s rides! 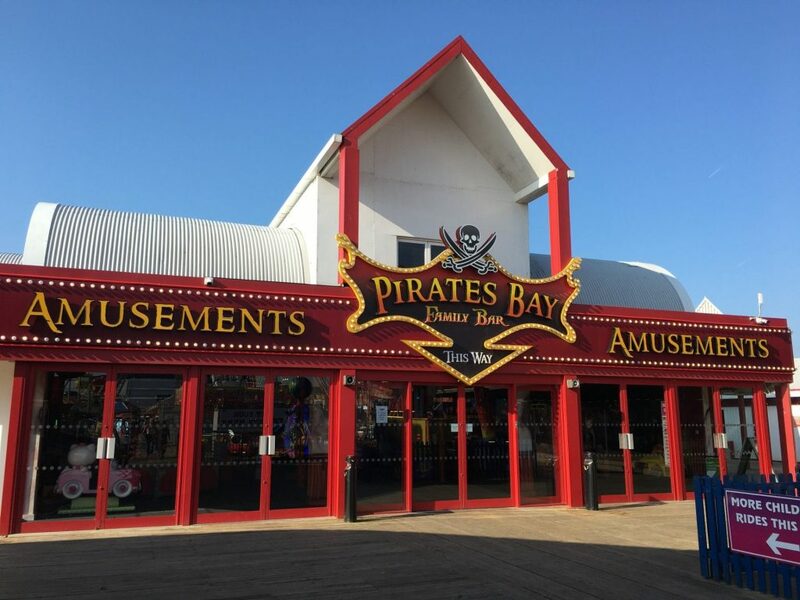 Stroll to the end of Blackpool Central Pier and you’ll find the Pirate’s Bay Family Bar. Every weekend and every day during the school holidays, there’s FREE entertainment here for children! Enjoy magic, games, disco, singing, kids karaoke and a whole lot more, with the Pirate’s Bay entertainment team. 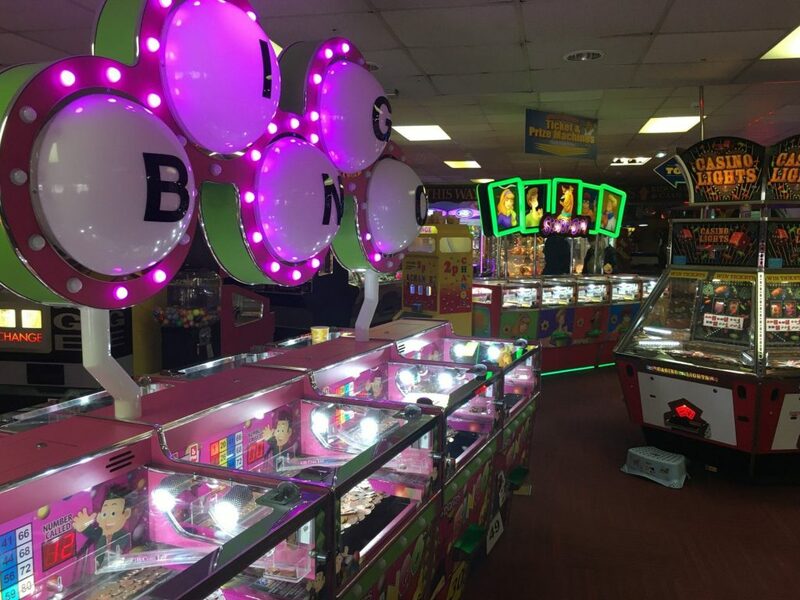 With its own amusement area, a toy shop and Captain Cook’s food kiosk it’s the perfect place for an afternoon or evenings fun for the whole family. Find out what’s on today from the Blackpool Central Pier Facebook page. Please note that opening times are weather dependent. It wouldn’t be Blackpool without side-stalls and there’s plenty to choose from on Central Pier! Test your skill with hoopla, darts and hook-a-duck. There are even stalls where everyone wins a prize. Great fun for all the family! Visit the rock and souvenir shops and of course, the palm reader! If you’re feeling peckish there’s plenty of food to choose from. 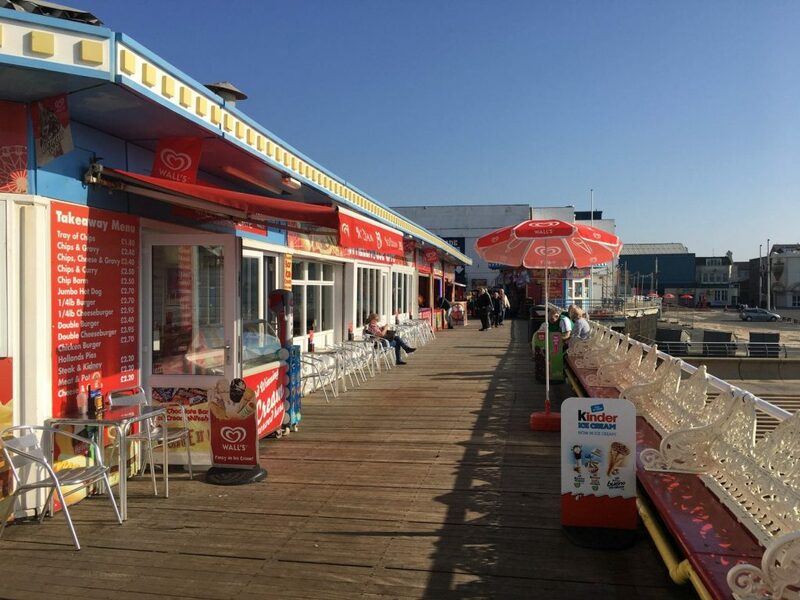 Fish and chips, ice cream, pizza, sandwiches and drinks are all available from cafes on the pier. They’re open right through the day until late. Central Pier Showbar is home to the amazing Kings and Queens of Rock, Pop and Roll. It’s the resorts favourite tribute show with all your favourite big names. The showbar reopens for Kings and Queens in late June to the end of the Illuminations in November. Plus the Christmas show in December. 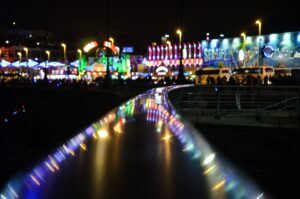 Central Pier is open every weekend until the Easter holidays, then daily until the end of the Blackpool Illuminations. Note that all opening hours are weather dependant.  Check the Blackpool Central Pier Facebook page for details. Blackpool Central Pier is one of those places which is full of seaside atmosphere. You can hear the sea and the waves and the noise of the music and people chattering. Smell the onions frying for hotdogs, mixed with the sweet smell of candyfloss. There’s nowhere better for a big dose of that carefree holiday feeling! The three piers are free to enter so you’re welcome to come on down for a wander. Sit for a while and enjoy the sunshine and soak up the rays. Or, on that one blistering hot day of English ‘summer’ go to the other side of the pier to enjoy the shade! You can walk right around the very end of Blackpool Central Pier. Standing at the very seaward end, looking out into watery nothingness is an experience in itself – why don’t you go and take a look? There are some very touching memorial plaques on the decking there too. Presumably in remembrance of people whose ashes have been interred at sea.